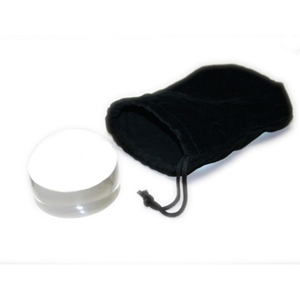 2" round ultradome non-lighted handheld 4x magnifier is made of a high powered distortion-free, lightweight, unbreakable & scratch resistant lens. View magnified objects from any distance in perfect focus. Comes with a polishing cloth. Great for Map Reading! 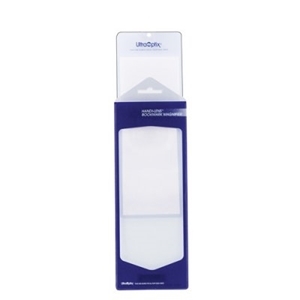 2-9/16" x 7-5/16" pocket size non-lighted handheld 2x magnifier is made from an extremely thin, lightweight, flat & almost flexible plastic. Which makes this magnifier very versatile. Comes with a vinyl case for storage. Great for Map Reading! 3" round non-lighted handheld 2x magnifier is made of a high powered distortion-free, lightweight, unbreakable & scratch resistant lens. Comes with a 5x bifocal. Great for Map Reading! 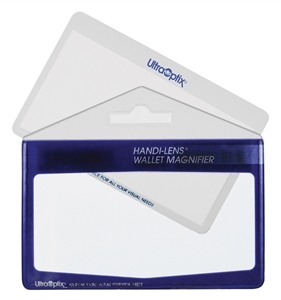 3-1/4" x 2" wallet size non-lighted handheld 2x magnifier is made from an extremely thin, lightweight, flat & almost flexible plastic. Which makes this magnifier very versatile. Comes with a vinyl case for storage. Great for Map Reading! 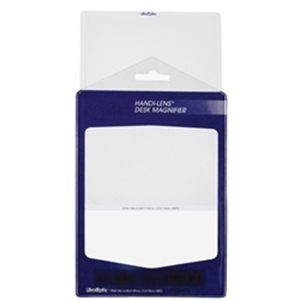 3-3/4" x 5-3/8" desk size non-lighted handheld 2x magnifier is made from an extremely thin, lightweight, flat & almost flexible plastic. Which makes this magnifier very versatile. Comes with a vinyl case for storage. Great for Map Reading! 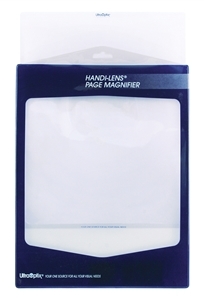 8-1/2" x 11" page size non-lighted handheld 2x magnifier is made from an extremely thin, lightweight, flat & almost flexible plastic. Which makes this magnifier very versatile. Comes with a vinyl case for storage. Great for Map Reading!